Kathy Wright RGON, BHSc, PGDipHSc, PGDip Emerg Mgmt, MN (Hons). Kathy is the Managing Director of C4 and with a background in health, she has been involved in education for the past 20 years. Responsible for managing the company as well as strategic direction and programme development, Kathy still finds time to deliver training whenever she can with a particular focus in Emergency M​anagement, First Aid and Adult Education. She is currently completing her Masters in Emergency Management and her National Certificate in Adult Literacy and Numeracy (Level 5). 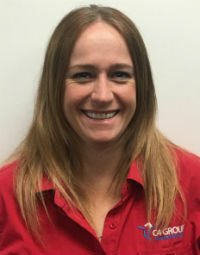 As founder and Chairperson of the NZ Security Training Association, and a moderator for the Skills Organisation, Kathy is committed to providing excellence in training and learner support by embedding this in the day to day operations of the company. Chris Lawton NCAET (Level 4), NCAET (Level 5), NCIS (Level 2), NCIS (Level 3), NCIS (Level 4). Chris is the Chief Executive Officer of C4 and with a background in the NZ Police and United Nations Security Forces, he has been involved in education for over 20 years. Responsible for strategic direction and programme development, Chris has a passion for security and emergency management training – two areas that enable him to apply his extensive experience to enriching both his training delivery and programme development. Chris was awarded the inaugural NZSA/Skills Leadership Award for his work in the security sector and is founder and CEO of the Security Institute of NZ (SINZ). 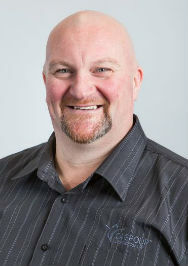 He is also a founding and board member of the NZ Security Training Association (NZSTA). Karl Laaks NCIS (Level 2), NCIS (Level 3). Karl is one of C4’s senior instructors and delivers both security and OSH programmes. With an extensive background in both national and international security operations and training, he is able to bring real world knowledge to his teaching. Karl’s training experience includes police gang units; serious crime and extreme violence units; armed response officers; unarmed combat for bodyguards; weapons; armed robbery survival; conflict management; control/calming and restraint and defensive tactics. His operational experience includes bar security, close protection operations, and event and corporate security. To top this off Karl is a fully qualified Koga Ninjitsu Instructor – a qualification that takes many years to achieve. Kevin is the newest member of our team and brings a wealth of experience to the company. Originally from the UK, he is an experienced Protective Security practitioner, including time working as a civilian Security Adviser to the UK Ministry of Defence. 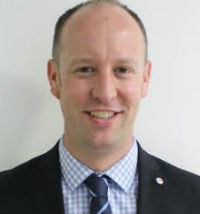 Kevin is also an experienced tertiary lecturer, teaching Applied Management at Thames Valley University in the UK and at the Waikato Polytechnic and Eastern Institute of Technology here in NZ. Charlotte is our Office Manager and the first friendly face you see at C4. She has an extensive background in the security industry both here and in South Africa and her administration experience enables her to run our office like a well-oiled machine. Charlotte’s motto is to always strive to deliver the service she expects to receive and this is reflected in the excellent customer service she delivers to clients and learners alike. Rob Fasher NCIS (Level 2), NCIS (Level 3). Rob is an instructor for C4’s mandatory security training programme and has been in the security industry since 2007. ​A security company owner himself, he has worked in all areas of security including consulting and investigations. Rob is passionate about training and making the learning experience an enjoyable and positive ​one for the learners. 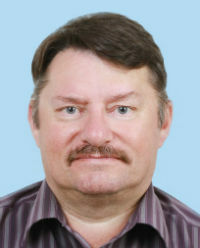 Frans Van Wijk NCIS (Level 2), NCIS (Level 3). Frans is an instructor for the mandatory security training programme and has an extensive security background in the security sector. This includes 8 years in the SA military and 10 years as a security officer in various roles in NZ. 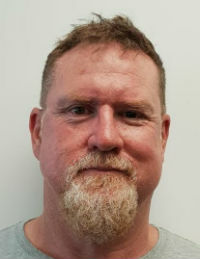 He worked for many years in hospital security and is a certified health Control and Restraint programme instructor as well as an expert in defensive tactics training. Sam Raymond Dip. Tchg, NCIS (Level 2), NCIS (Level 3). 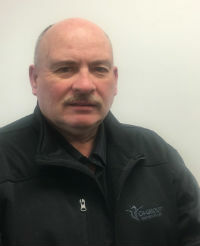 Sam is our Central North Island instructor and has been in the security industry for over 30 years. 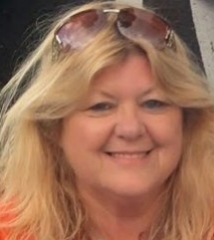 Sam owned a security company for more than 25 years during which time she worked in a multitude of different security roles. She was a workplace assessor for the Skills Organisation assessing national qualifications, and in 2013 won the Skills ‘Workplace Assessor of the Year’ award. Sam loves working with students who have literacy challenges and provides a one on one service for C4 learners, assisting them to successfully complete national qualifications. Bryan Fitzpatrick has been an instructor with C4 Group for over 10 years and has an extensive background in training both nationally and internationally within the security industry. This includes ship security: self-defence: Close Quarter Battle (CQB): unarmed combat: aviation security (cabin crew): personal safety: conflict management and defensive tactics. As a NZ Karate Champion for over 10 years, he is a 5th Dan Black Belt and has represented NZ internationally for the same. An experienced international security operative for many years he has also provided VIP protection both in NZ and overseas. Tony Robinson NCIS (Level 2), NCIS (Level 3), NCIS (Level 4), NCAET (Level 4). Tony has been a trainer within the security industry for many years and brings extensive sector experience at a senior level to his role. His understanding of the industry and his natural teaching abilities saw him win the NZSA / ETITO Security Workplace Assessor of the Year in 2011. 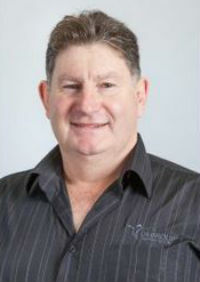 ​Tony is committed to supporting learners to achieve and focuses on assisting those with literacy and numeracy issues. He is currently working in the port security field bringing a new dimension to his security skills and knowledge. Stu Leith NCIS (Level 2). Stu is one of our South Island mandatory training instructors and has an extensive background within the security industry. Having successfully owned his own security company he is now a senior manager for a large security organisation, bringing extensive experience in both providing and teaching within the security industry.